Terrence Forrester is a Grenadian politician and the Political Leader of the Grenada Progressive Movement (GPM). Forrester is the founder and Political Leader of the Grenada Progressive Movement (GPM). 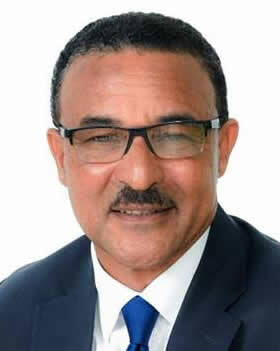 He is a former Public Relations Officer of the New National Party (NNP) in Grenada. He parted ways with the NNP after Prime Minister Dr. Keith Mitchell did not sanction him to contest the South St. George seat for the ruling party on the grounds of age. Forrester unsuccessfully contested the St. George South seat for the Grenada Progressive Movement in the 2018 General Election.